Who doesn’t love a leisurely breakfast? 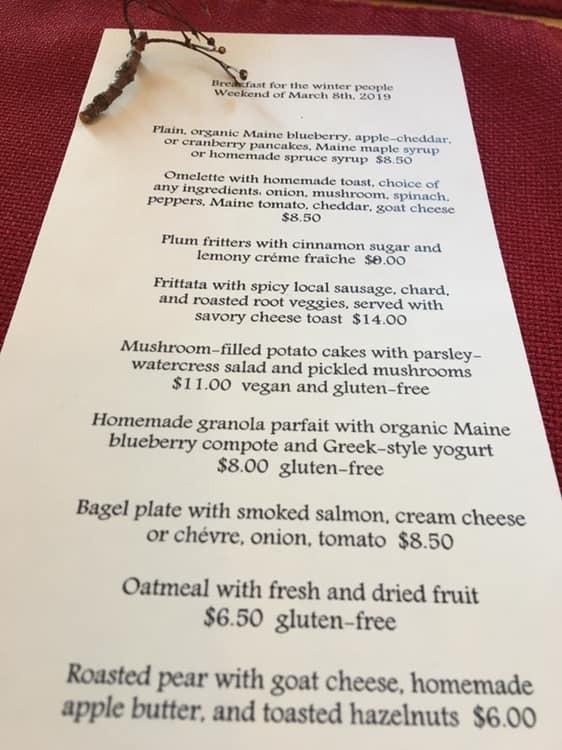 And whether you are actually on Mount Desert Island on vacation or live here and want to treat yourself, brunch is a fun splurge. Because I haven’t seen this information collected anywhere, I thought we’d put together a brunch blog post about options including some useful info (like booze or not). I’ll divide these up by town and acknowledge at the end I need some help with making sure this is complete… so if you have stuff I should add, please leave a comment! It’s painless and will help others! The official ‘season’ on MDI is Memorial Day weekend (late May) to Columbus Day Weekend (mid October) but businesses each have our own interpretations of this. We’ve taken our best stab from living on the island for ten years and brunching on occasion to estimate when places are open but even we can be wrong so call ahead and make sure! And remember the Bar Harbor Merchants Association does their best to keep an ‘open’ directory so check out their website for a pretty comprehensive list of what businesses are open in the shoulder seasons in particular. Note: if you want something more grab and go, check out our blog posts about bakeries about good $5 spends at each and where to get delicious sweet things locally. Wait: 0 – 10 mins. They have a sideboard with coffee, tea, and scones and a waiting room area so it is pretty painless. What: If you like fresh seasonal ingredients and inventive menu items like house made spruce syrup, you’ll love this place. As a bed and breakfast in the summer, they are busy catering to their guests but on winter Saturdays and Sundays, they serve a great brunch that is a mix of perennial menu items (pancakes, eggs and toast) and weekly specials. 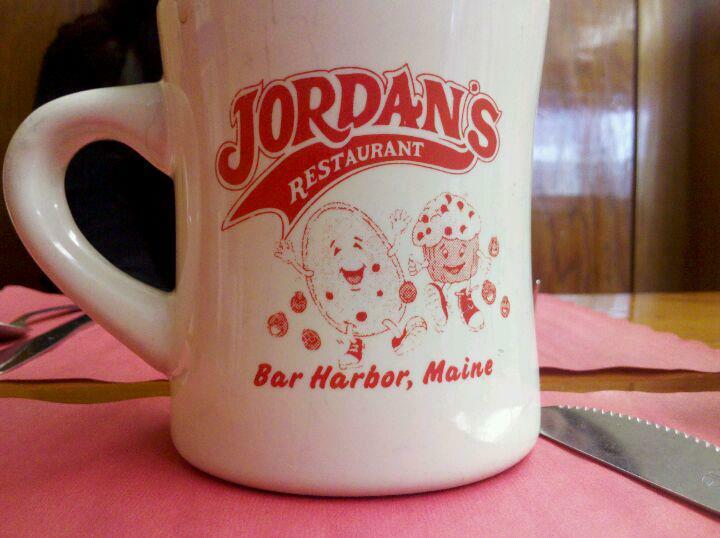 What: According to friend Brenda, this is a great treat breakfast in Bar Harbor. Think omelette station, carved meat, and all the trimmings of a fancy breakfast buffet. They take reservations I believe (they also have an Easter brunch in the off-season and they took my reservation a couple years ago). Wait: 0 – 20 minutes and you kind of have to stand outside in front of the restaurant. What: It’s typical diner food but with Maine blueberry options mixed in. There is a counter with a griddle and diner coffee. I’m a fan of a grilled blueberry muffin (in my opinion most any muffin is better grilled on a flattop stove). I went here with my friends and their kids once and the cook let them sit and watch him cook pancakes and gave them a cup of blueberries to munch on while they did. Wait: 5-30 mins. They have coffee you can grab and an outdoor seating area to wait so on a nice day, pretty painless. What: This hipster breakfast (and I mean that in the best way) has a mix of classics like Eggs Benedict and bagel/lox plate with specials like steak and eggs with green chimichuri sauce. One whole side of the menu is omelettes and while I am no omelette fan, friends swear they are the best here. I think they do reservations with larger parties but if you’re a two or four top, you’ll wait but not long. This place is a well oiled machine. Wait: 0 – 5 mins. Most people are getting takeout it seems at least when I’ve been in. What: Don’t let the name fool you. I didn’t know this place served breakfast until recently. Think diner type food: breakfast sandwiches, eggs and bacon, etc. The appeal is this place is open year round which as you see on this list is not a given! Wait: 0 – 5 mins. Most people are getting takeout it seems. What: New to the year round brunch scene (Blaze was a seasonal restaurant the first few years it was open), they do serve brunch on weekends in the offseason. Think a Bloody Mary with a giant piece of bacon and other stuff garnishing it. What: This is an ongoing fundraiser for a local soup kitchen so it’s by donation only. They have popovers and a few basics like coffee and oatmeal but it’s mainly a popovers dominated breakfast buffet. On the weekends, you might even catch some live music. Tons of outdoor seating but not sure what their indoor situation is like. The following places I have not had brunch at so if you have, please comment below! I may have even not listed some restaurants entirely (in particular I am unsure about the Northeast Harbor brunch scene). So please comment and help me round out this list! In short, when it comes to brunch on MDI, regardless of what time of year you visit, you have options… and they are delicious ones! Lifting my mug to you and cheers-ing your upcoming brunch on Mount Desert Island.